New prices effective September 1st. Existing stock couplers (at the old pricing) will be sold first; with the newer prices phasing in. 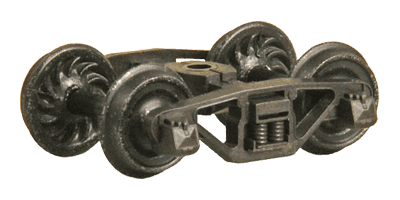 Kadee® introduces a new series of HOn3 “HGC” trucks in 5 styles. HGC means “High Gravity Compound” which is a high tech plastic/metal composite material. 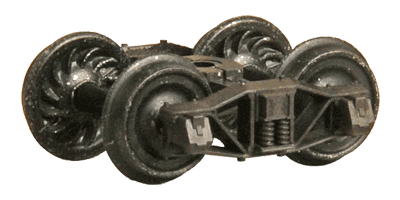 Featuring ease of assembly, they will have a free rolling, flexible, equalizing ride similar to our #716 and #717 HOn3 fully sprung truck kits. All trucks have 26″ ribbed back wheels. 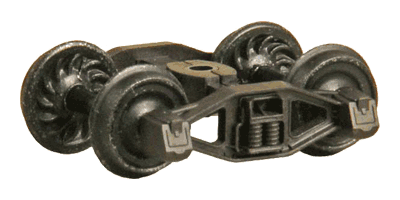 Included with the two-piece frames are center bushing adapters for attaching the trucks to various makes of cars such as Blackstone® and Micro-Trains®. 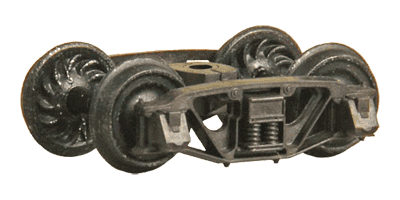 These trucks require a flat mounting surface and some models may require trimming and filing of the car’s bolster to make a flat surface. Kadee® has provided a set of assembly instructions in PDF form to ease the installation.